At Horizon Builders, we believe that each project has its own personality, shaped by the client. That’s why we pride ourselves on our personal service and attention to detail through every stage of the project to ensure we conform to your project’s unique personality and exceed your expectations. Before breaking ground on any project, or ripping out fixtures or drywall on a renovation, we start with a solid plan. Our comprehensive planning process ensures we’ve completely captured and agreed upon the requirements, which will drive the creation of budgets and schedules. Conduct a thorough analysis of the site or building against the project requirements, and make recommendations as needed. Perform cost estimates to help guard against surprises during the construction phase. Develop detailed schedules and plans to account for all phases of construction and ensure project management proceeds smoothly. Identify and secure qualified subcontractors at competitive rates. Coordinate the permitting process with our clients and the appropriate authorities. Our in-depth, personalized approach to project management is driven by our commitment to quality and safety. With more than 60 years of project and safety management experience, Horizon understands how to complete a project that meets our exacting standards. Safety – Horizon maintains a rigorous safety program to ensure our employees are protected against hazards and the job site provides a safe working environment at all times. Quality – Realizing a client’s vision requires a high level of craft and workmanship. Our quality control process helps ensure that our projects are free of defects. Cost and Time Management – By adhering to the detailed plans, budgets and schedules developed during the pre-construction phase, we’re able to stay on track, even when we need to adapt to changes during the project. Because of our service philosophy, we take the extra steps after construction to ensure that project reflects our client’s vision. 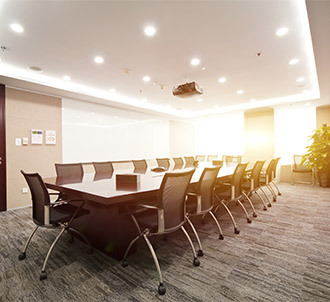 At this stage, we work closely with the client to attend to any last-minute details, quickly work through any punch lists and provide the necessary documentation, training or other materials to ensure a smooth transition into the new space.